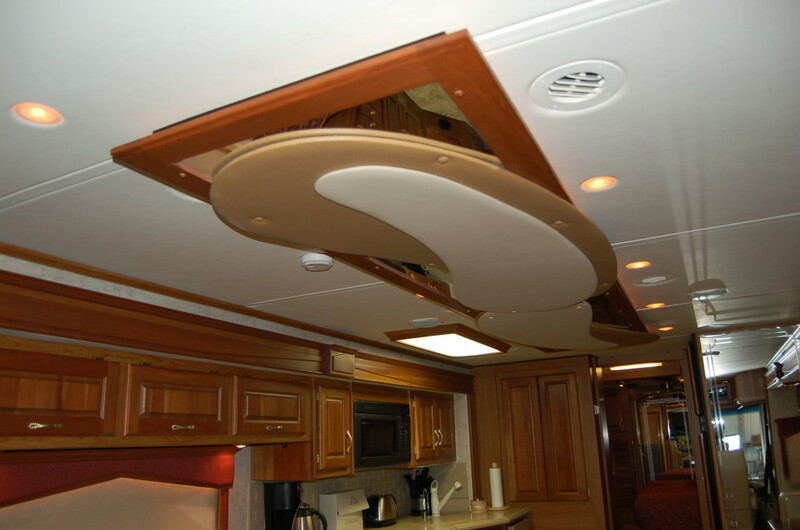 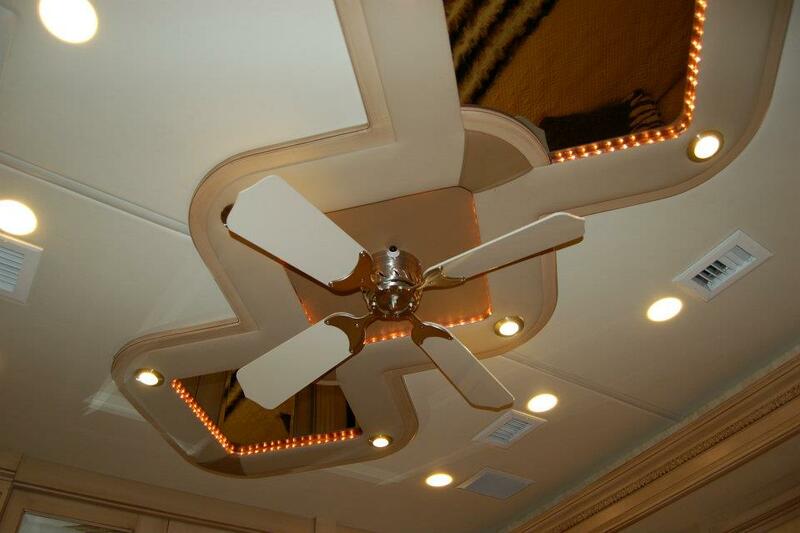 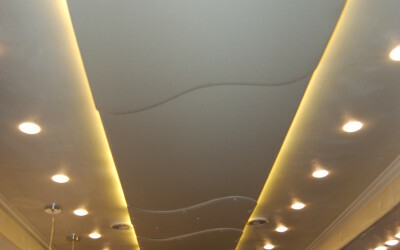 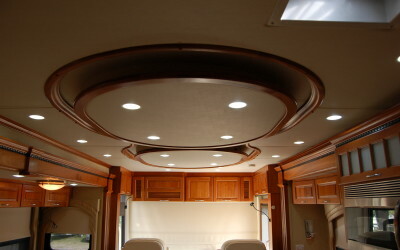 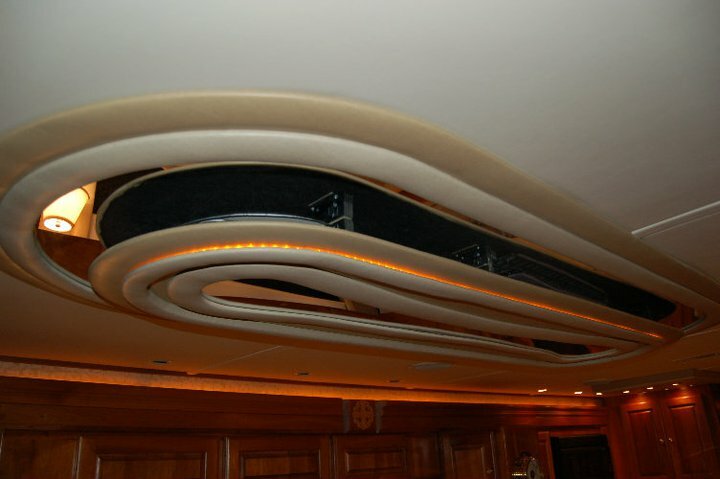 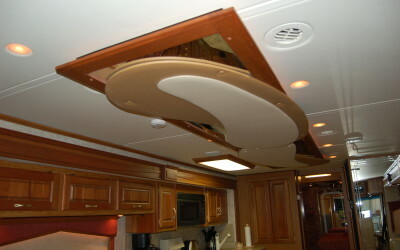 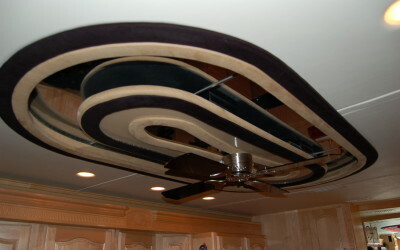 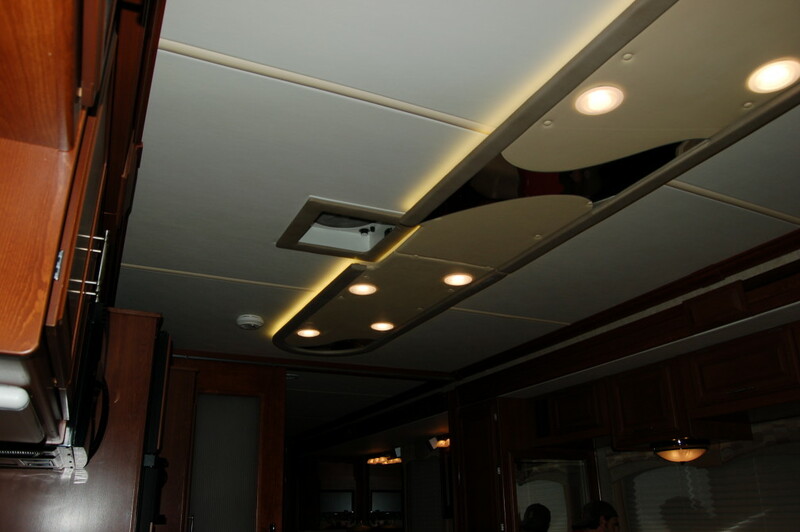 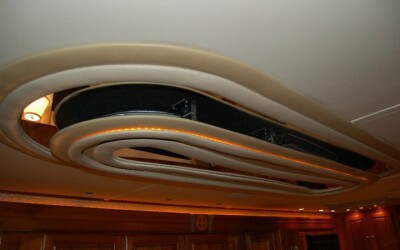 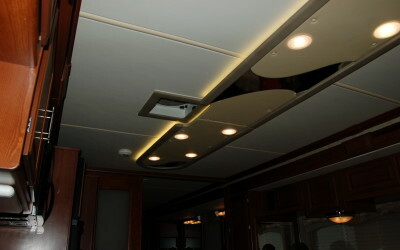 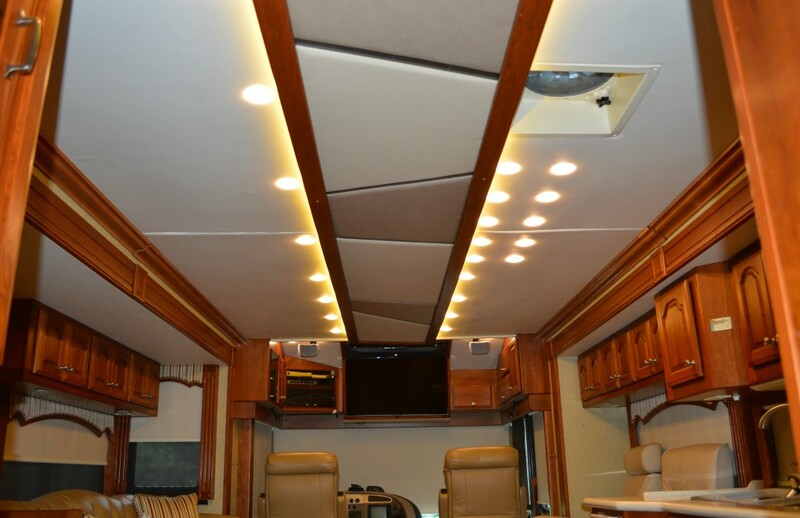 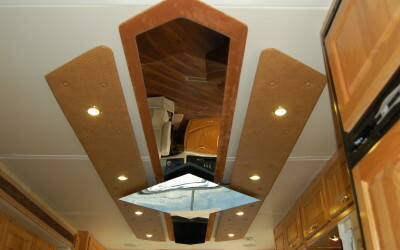 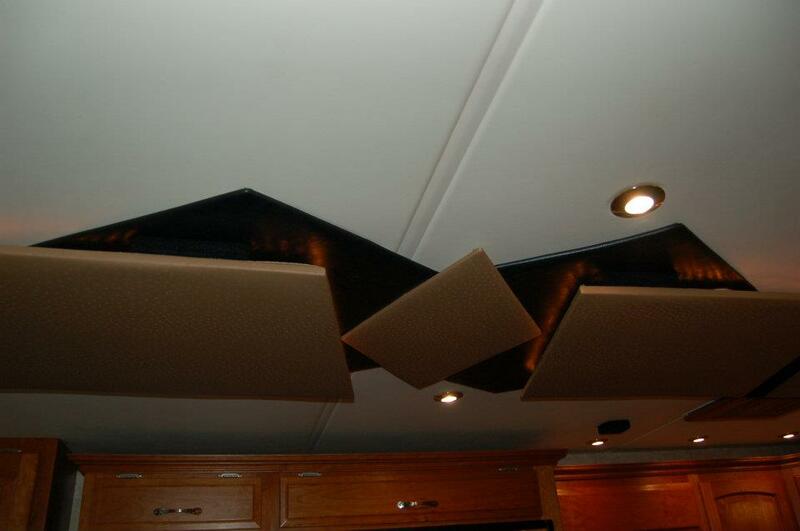 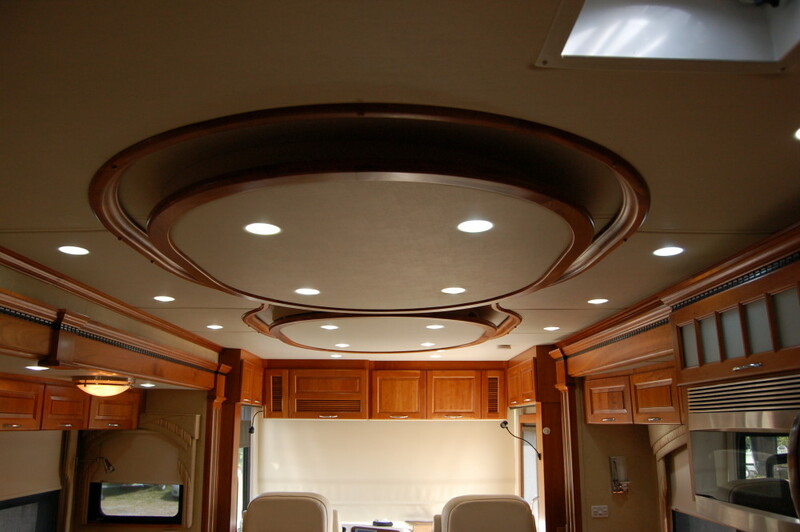 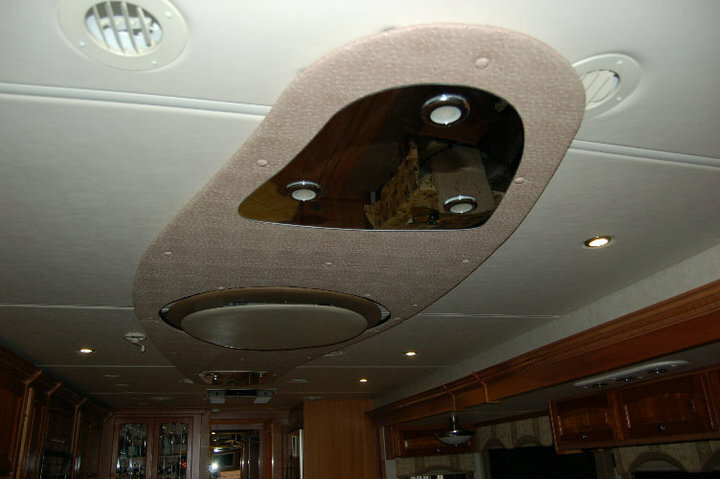 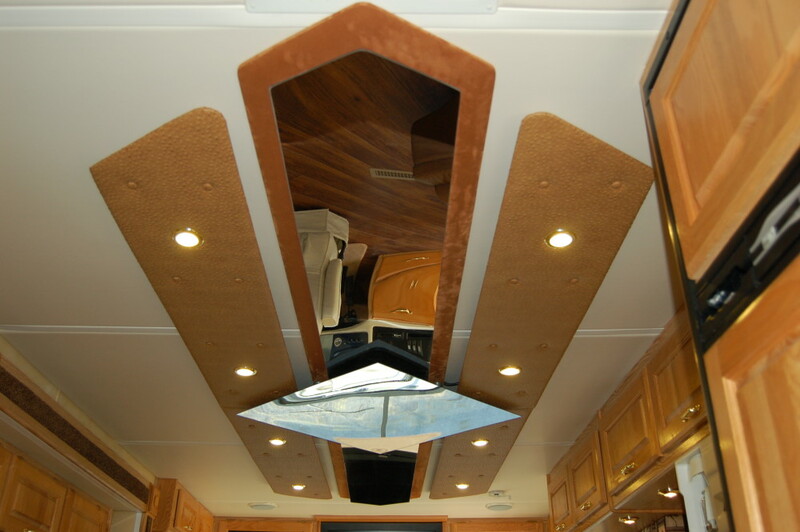 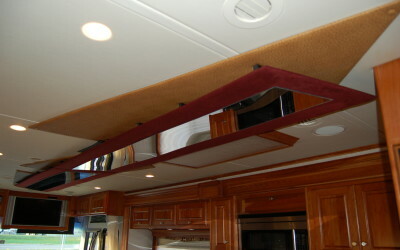 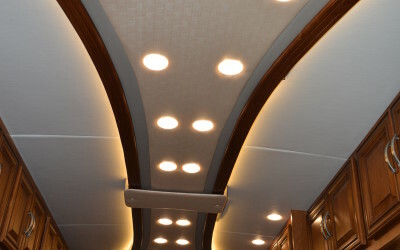 Designing and Installing Custom Ceilings is what Classic Coach Works originally started out doing in the RV Renovation field. 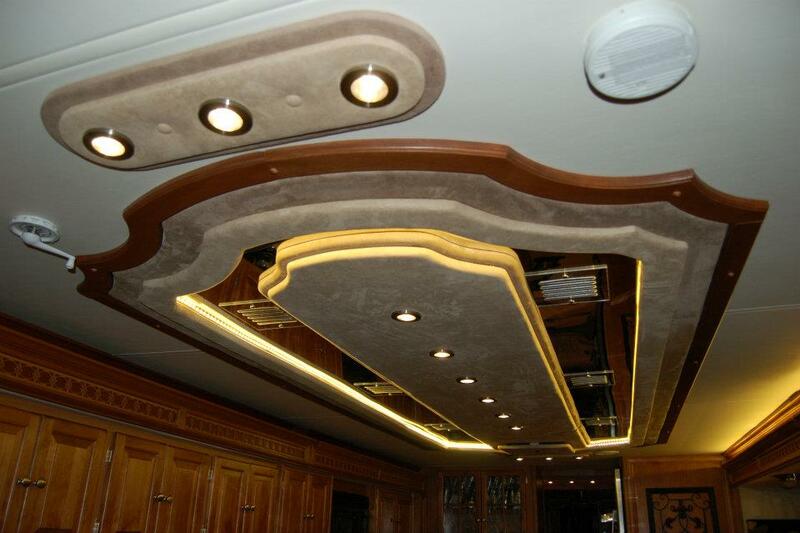 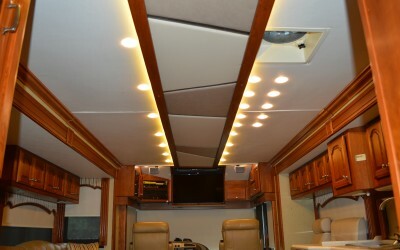 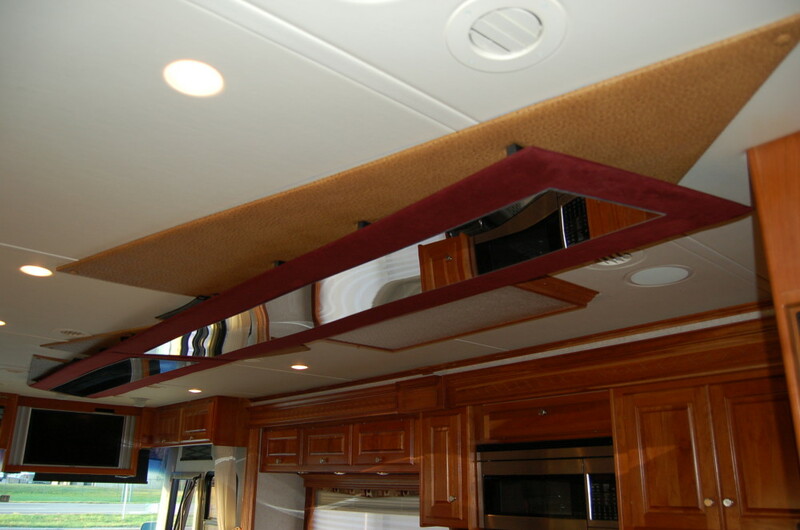 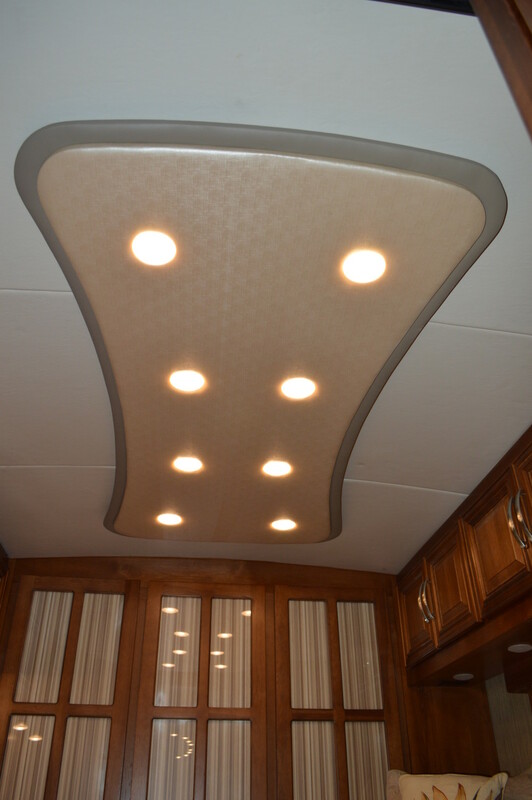 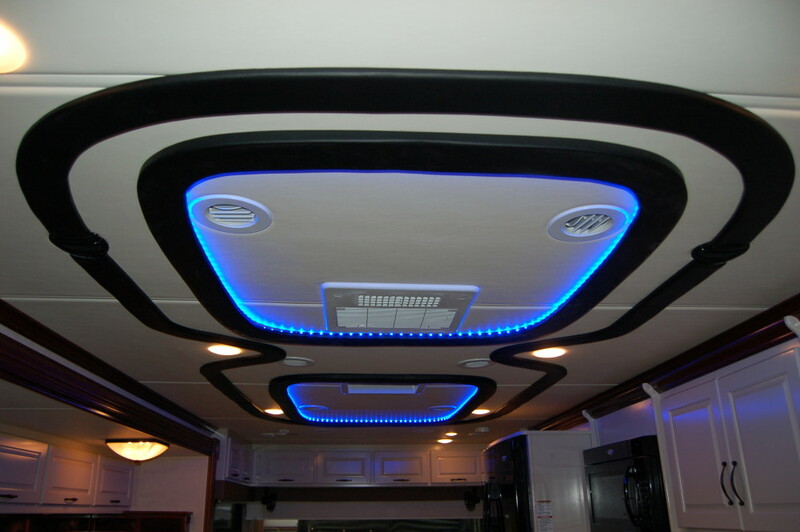 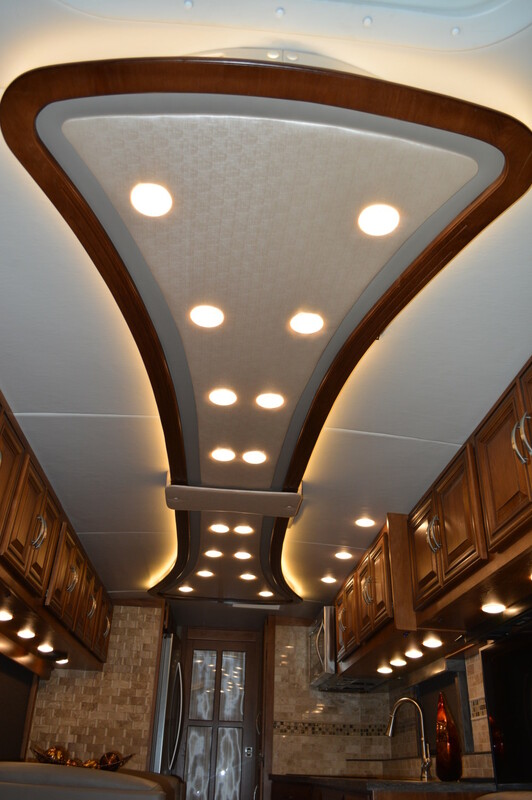 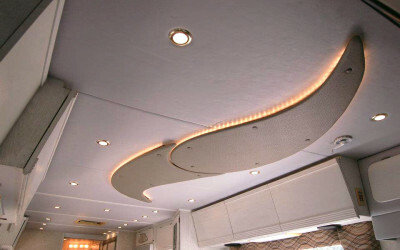 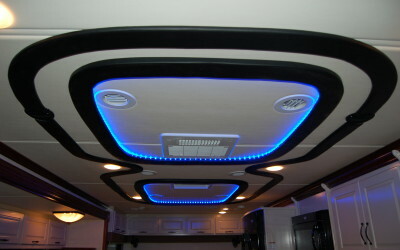 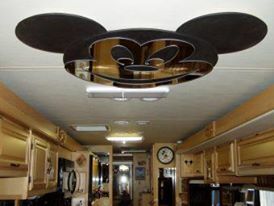 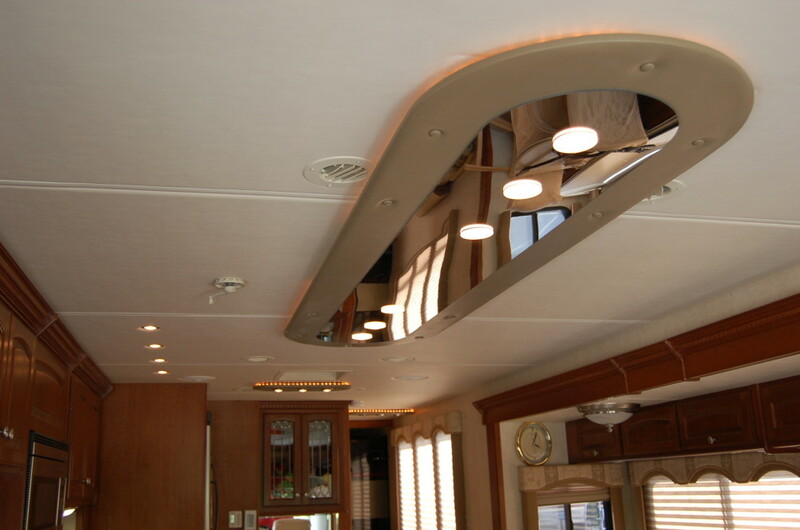 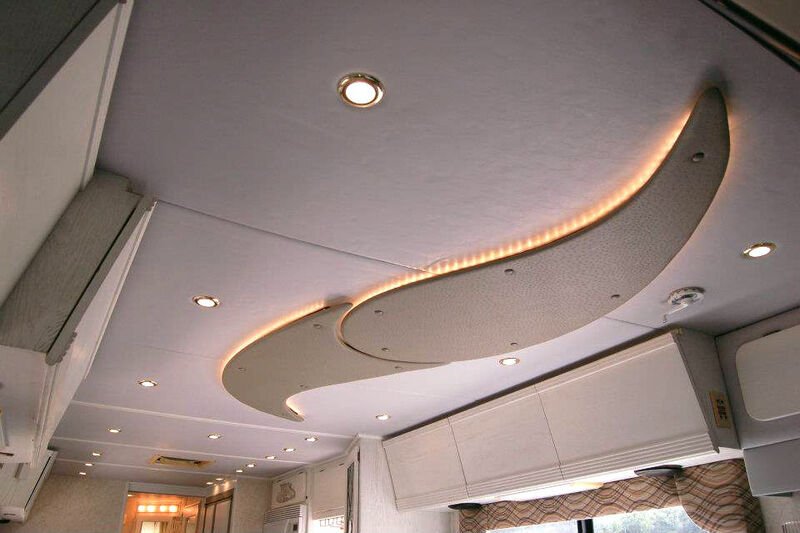 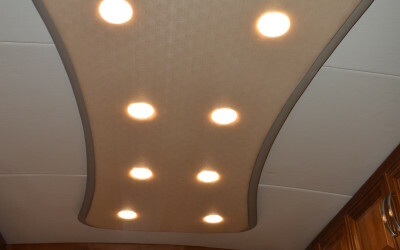 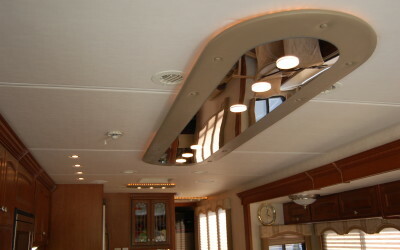 Since then we have come very far in our ability to customize the ceiling of your RV and help you make a grand statement to who ever walks into your coach. 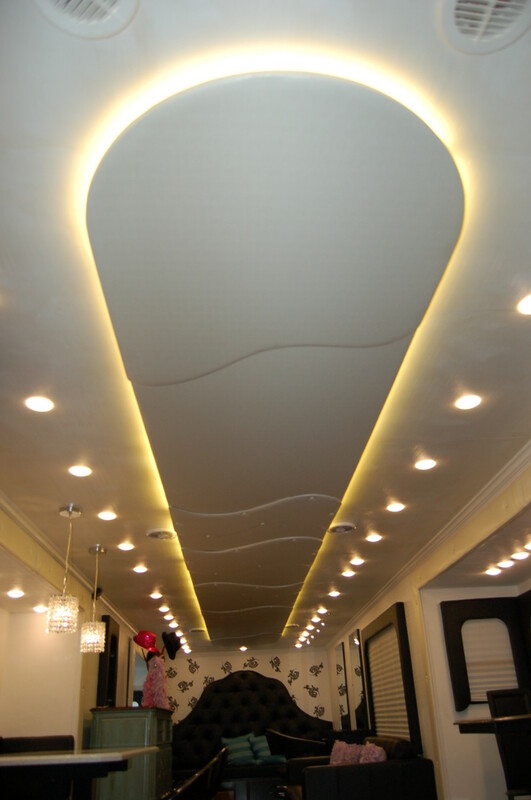 Talk to our design team about how we can bring your ideas to life. 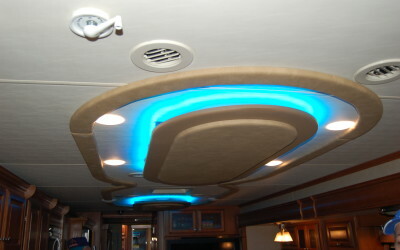 From simple vinyl designs, to full color changing LED light systems with multiple layers and mirrors, we can do it all.